In a career that has taken him from a hotel pot wash to a Michelin-starred kitchen, and from his first restaurant opened with £200 in the bank to director of Norwich’s premier venue, The Assembly House in Norwich, 2017 saw the 40th anniversary of his very first day in a professional kitchen. Beginning his career in the kitchen as a 15-year-old at The Imperial Hotel in Great Yarmouth, Richard opened his first restaurant - Number 24 in Wymondham – in 1991. During his 11 years in Wymondham he also taught at the Hotel School at Norwich City College and began his popular, and still running, Step by Step column in EDP Norfolk Magazine. In 2002, he left Wymondham to open The Lavender House at Brundall to national acclaim, and very shortly after founded the Richard Hughes Cookery School, winning the inaugural British Cookery School of the Year award. 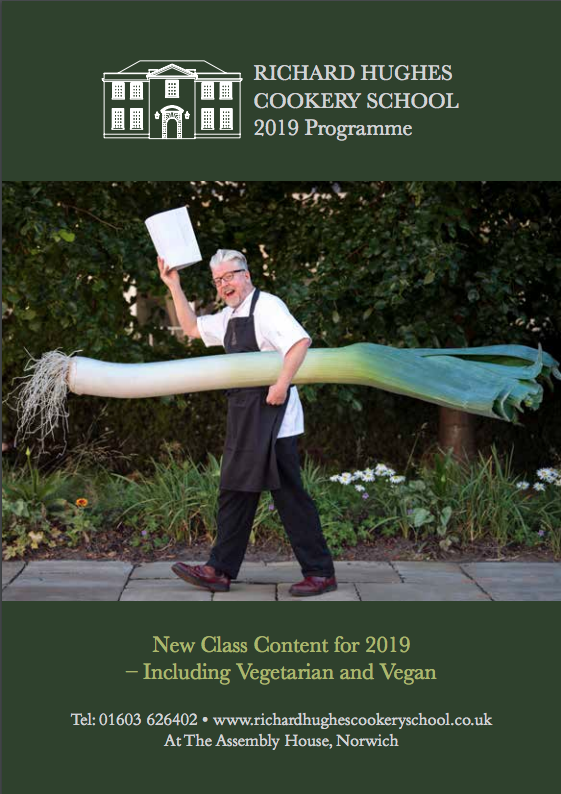 In 2017 he relocated the school to the Grade 1 listed heritage site that is The Assembly House in Norwich city centre where he is Chef Director. This new, larger, purpose-designed cookery school allows Richard to share his lifelong passion for food with an ever-growing audience of all ages and abilities. With numerous awards and accolades to his name Richard is still as passionate, enthusiastic and dedicated as ever and continues to inspire a host of cooks, both professionally and in home kitchens, as well as offering advice to a host of food-related businesses, including, care homes, tourist attractions, pub chains, school meal contractors and the county’s biggest hospital services provider. Richard’s name is well-known not only in Norfolk and East Anglia, but across the UK – he is a member of the prestigious and exclusive Royal Academy of Culinary Arts, runs the regional centre for the Academy’s Adopt a School Trust and has trained chefs who now work across Britain, Europe and America. 2017 Richard was awarded a British Citizenship commendation for his work in inspiring young people.